Summer registrations are fast approaching. 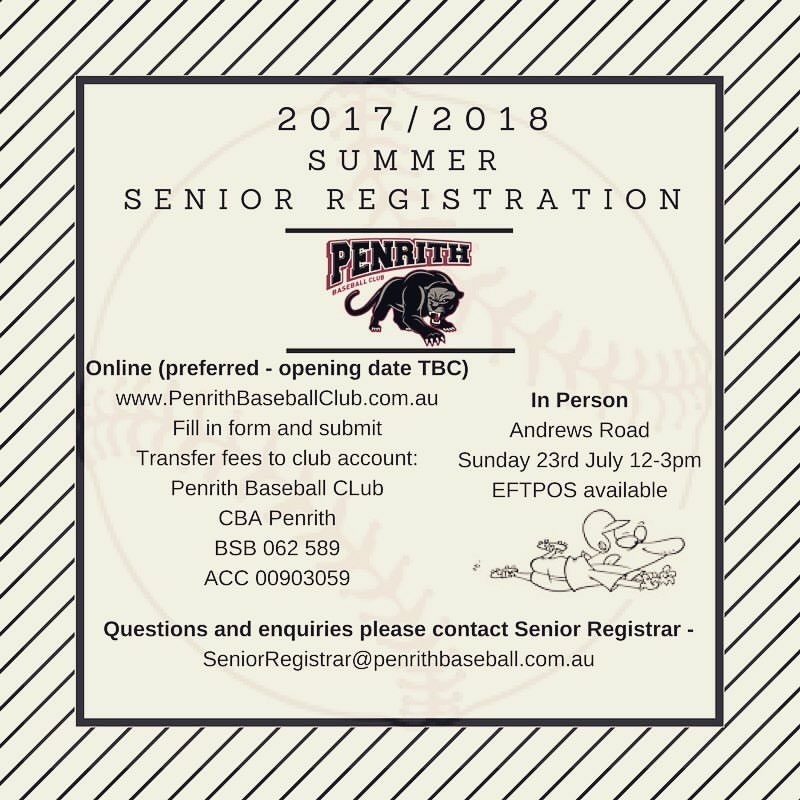 Senior registration (Saturday afternoon baseball) will be held on Sunday 23rd July 12-3pm. Looking forward to seeing all past, present and future players gearing up for the summer season! No Replies to "Senior Summer Registration"